If you are seeing an “ERR_TOO_MANY_REDIRECTS” on your web browser, you are not alone. 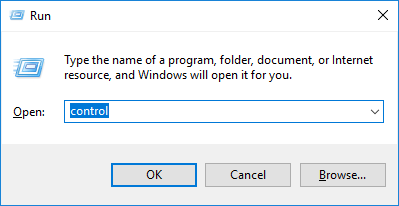 Many Windows users have reported that. 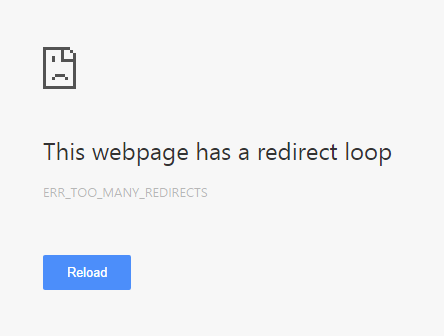 This error occurs with a message “This webpage has a redirect loop” and blocks them from loading the website. This issue usually happens when you are redirected from the original URL to a new one but unfortunately fall in to an infinite redirect loop. The browser detects this situation, and it breaks the loop and shows the error message. The reason why you are stuck in this loop can be the problem of the server or of the end user. The ERR_TOO_MANY_REDIRECTS error may result from the web browser you are using. You can try visiting the same URL using other browsers. If the error still persists, the issue may come from the server side. You may need to log on the website at another time. If the error doesn’t appear on a new browser, try the methods below to fix issues on your original browser. 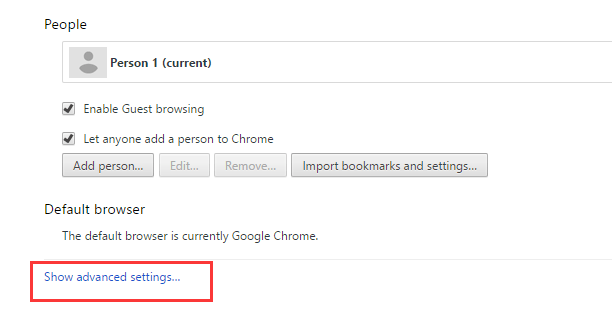 a) Type “chrome://settings” in the address bar and press Enter, and then click on Show advanced settings at the bottom of the Settings page. 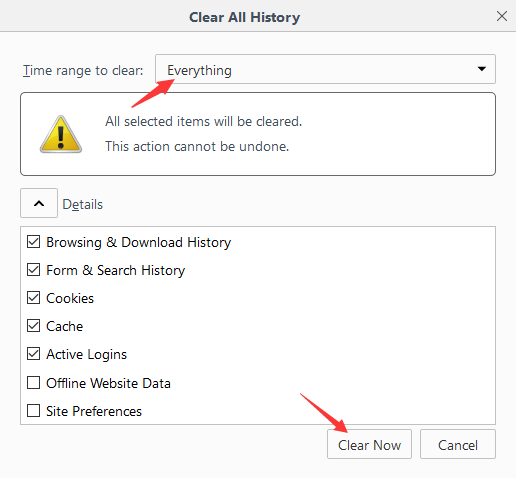 b) Click on Clear browsing data button. c) Click Clear browsing data. 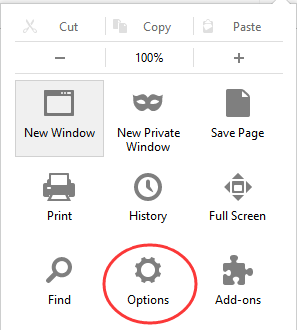 a) Click the Menu button of Firefox, and then select Options. 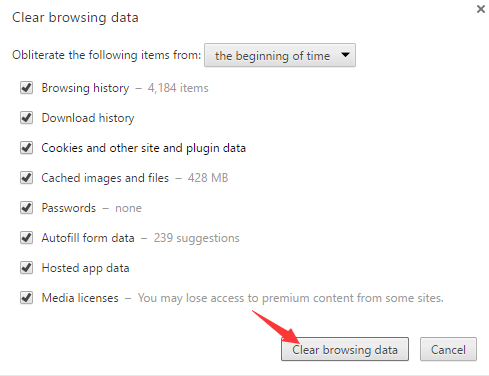 b) Select Privacy and then clear your recent history. c) Select Everything for Time range to clear and then click Clear Now. Once the browser data are cleared, you can try logging in the website and see if the error is gone. The ERR_TOO_MANY_REDIRECTS may be caused by a wrong browser extension. You should open the extension manager in your browser to check the extensions you have installed on your browser. Here are the examples of checking extensions in Chrome and Firefox. a) For Chrome, type “chrome://extensions” in the address bar and press Enter. Then you can see all the extensions listed below, and you can try enabling or disabling any of them. b) For Firefox, type “about:addons” in the address bar, press Enter, and then select Extensions. You will see all the extensions for Firefox is listed here. You can disable all the extensions to see if this fix the problem. If it does, you can enable one extension at a time to identify the one that causes the trouble. Usually you meet the ERR_TOO_MANY_REDIRECTS error due to the incorrect or outdated date and time settings on your system. To correct your system date and time. a) Press Win + R keys on your keyboard to invoke Run box. Type “control” and press Enter. 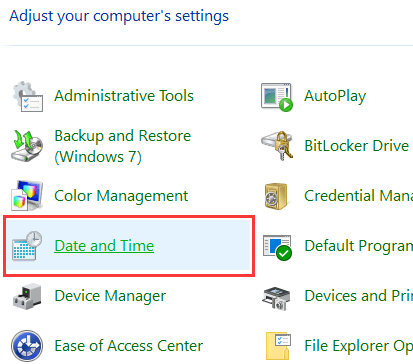 b) In Control Panel, select Date and Time. 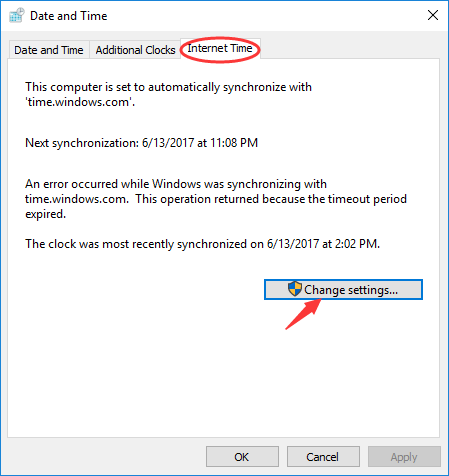 c) Select Internet Time tab, and then click on Change settings. 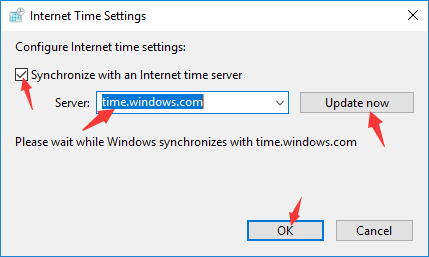 d) In Internet Time Settings, tick Synchronize with an Internet time server and select a time server. Then click on Update now, and hit OK. The date and time on your system is now updated.